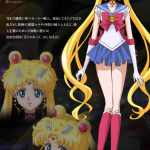 Breaking News: Cast and Crew of Sailor Moon Crystal Announced! 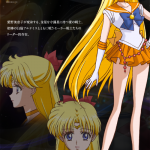 There is also some character art available on the official Sailor Moon website. We’ve included a few shots below for you. 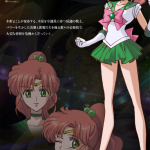 More images and character information (in Japanese) are available here. The new anime series will begin airing July 5th at 7pm in Japan, on NicoNico. It is said to not be a remake, but will be a new version that adapts the original manga. Although the panel title and description emphasized Kotono’s work in Sailor Moon as well as Evangelion, Kotono reminded panel attendees that they were not limited to only asking questions about those series. She was happy to answer questions about any of her work. I missed the very beginning of this panel, since I had to retrieve the camera I was using just beforehand (it was accidentally packed too early!). I’m including details about the bulk of the panel here, but if there’s anything someone else recalls that I missed, feel free to add that in the comments. Regarding her role as Excel, Kotono was asked how she was able to maintain her voice and what her methods were for playing that role, as the character mostly screams and screeches. Kotono began her answer by saying that maybe she was lucky, but her voice stayed with her the whole time. For that role, she developed a screaming voice that was uniquely her own. When she received the script, she was excited to see what dialogue she would have. In that series, Kotono said that there were many lines and lots of things to say while a character’s mouth was open. She said the technique to get through the lines appropriately was to speak fast and not breathe! Next, Kotono was asked how it felt to have voiced the role model of Sailor Moon, who inspires confidence. Kotono said that this was her first role as a main character in a television series. Because of that, she focused on doing her best and working her hardest. She also received lots of help from more experienced cast members, such as Tohru Furuya (Tuxedo Mask). Once the show started airing and she heard good things from viewers, she became more confident. Before she’d heard the opinions of the viewers, she didn’t realize that Sailor Moon would be a role model. When asked if the characters she’s voiced have become a part of her, Kotono confirmed that she has been influenced by the characters she’s played. She also said that she didn’t realize that she had certain qualities until voicing certain characters, that they brought out new parts of herself. She said it was like she had seeds inside her that grew once she experienced those roles. At this point, a fan requested that Kotono give the audience a sampling of some of her voice roles. These included Misato, Ebichu, and Boa Hancock, among others. Since Kotono has voiced a wide range of characters, the fan who asked for the sample also asked about voicing the part of an old lady. Kotono said she hasn’t done that yet, but thinks she’ll eventually have to! In Gundam SEED, Kotono played two very different characters: Murrue Ramius (the captain of the Archangel) and Haro. A fan was curious how it would work for scenes where two characters she was playing would be in the same scene. Kotono said that in Japan, when they record anime, everyone in the cast is in the studio at the same time. Each person steps up to the microphone when it’s time for their lines. If one person voices multiple characters in the same scene, they step up first as one character and then step up again as the next character. Recording with an entire cast does allow for ad-libbing and unplanned lines to happen more naturally. Sometimes these lines may even make it to the final anime production. As actors, they try to fill holes in a role, which is what leads to unplanned lines. Regarding the affect of technology on the job of a voice actor, Kotono said that there are both positives and negatives about advancements in technology. Microphones are better now and can even pick up a quiet voice. There are some drawbacks to this, as a quiet voice could potentially be used for a loud character. Kotono also thinks that actors used to be more careful about delivering their lines, but with computers things can be fixed more easily. This can mean less pressure on the actor. Kotono also said that voice actors are now expected to voice their roles more quickly. As a side note, Kotono mentioned that there was a time when anime voice acting was done live, so if there were any embarrassing errors those would still be broadcast. Now the atmosphere is more relaxed. A story Kotono heard about a live recording was that one of the actors was absentmindedly playing with a microphone stand while he waited for his turn to speak. He got his finger stuck, so he couldn’t step up to the microphone when it was time for him to say his lines. Thus, his character said nothing for the entire episode! When it came to revisiting the character of Misato, for the Evangelion relaunch, Kotono said that it does feel like there’s a bit of a difference in her approach to the character because there has been years between the the last time she had the role and the more recent voice acting. She was surprised and a little angry at first when she was asked to come back because she thought she was finished with the character because [spoiler alert!] Misato had died at the end of the series [/spoiler]. After calming down, she decided to take the role on again and keep the new performance as close to her old approach as possible. She did want to do well with the new performance, but she said she has made some unconscious changes in the way she delivered some lines – which the director pointed out. For example, he would say things like “Misato said this line more cute before. Why is she so dark/rude now?” Kotono joked that this seemed a little mean, but she was laughing about it so it’s pretty clear she didn’t think it was that bad! As a student, Kotono recalled that even then she wanted to be in the spotlight and perform. She thinks this was part of her motivation to become an actor. She was in the Broadcast Club in elementary school, which was a group of students who made the announcements at school and acted out folk tales at lunch (the latter she found a lot of fun and it influenced her to become a seiyuu). 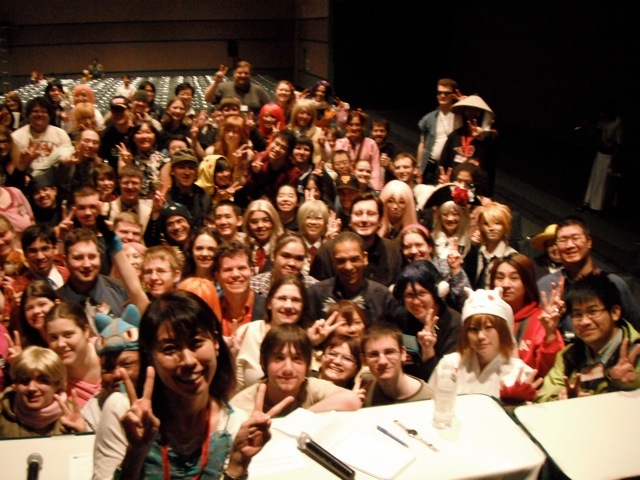 Visiting Sakura Con was Kotono’s first time in Seattle and she said it felt like she made lots of new friends! She said she will take that positive feeling back with her to Japan. At the end of the panel, Kotono asked the audience to squeeze together for a couple of photos which she has since shared on her blog. I’ve shared those in this post too, and you might be able to spot me in the pink shirt near the front, on the left side of the photo above this paragraph. That’s all I have in my notes for Kotono’s panel, I hope you have enjoyed these recaps! If there was something else at the panel that I missed that you would like to add, please leave a comment. 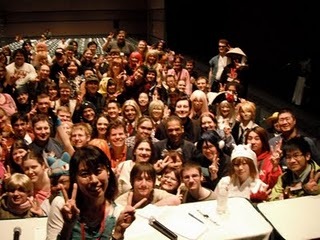 If you want to read Kotono’s blog posts about Sakura Con they are here (arrival in Seattle), here (about autograph signing and the first panel), here (about the performance with the Dreamcatchers, where Kotono sang “Moonlight Densetsu”), here (the one with the photos), here (includes an English message about the charity auction), and here (includes the quiz questions). This was Kotono’s first panel of the convention, and her most popular. She was aided by a translator, but seemed to understand parts of the questions fans asked in English. At the beginning of the panel, Kotono mentioned that Sailor Moon was her first role in a series and she focused on doing her best. Regarding Ebichu: The Housekeeping Hamster, Kotono said that she had been a big fan of the manga series and found it really funny. The anime series had the same director as Neon Genesis Evangelion. When Kotono heard about the anime being made, she told the director that she really wanted the role and promised to even do the embarrassing lines with a straight face. Regarding the more “mature” role of Misato, Kotono acknowledged that most of her previous roles had been pretty and cute girls. This encouraged her to want to do a more mature role. She also found that voicing a more mature role helped her grow. Compared to other strong females in Evangelion, Kotono found that her role was different from the others. When she first voiced Misato, the age of the character was very close to her own age, so she based some of her performance on her own feelings and how she thought she would feel in the situations Misato was presented with – which meant approaching the role differently. At first she had focused on technicalities, but Kotono affirms that feelings are key to a good performance. Before acting in One Piece, she was unfamiliar with the series. However, when Kotono found out she got the role, she read over 40 volumes of the manga and became a fan of the series herself. The scenes she liked most in One Piece were the ones where her character was involved, especially when Boa Hancock would be looking down on others. Regardless of the character she’s playing, when deciding how to approach a new role, she doesn’t focus on how she thinks the character would react. She tries to start with a blank slate for every character. Regarding working on Revolutionary Girl Utena, which shared some of the same production staff as Sailor Moon, including writer and director Kunihiko Ikuhara. Kotono thinks that one of the reasons she was cast as Juri was that the director wanted her to play a different kind of character. When Kotono’s daughter was little, they watched the Sailor Moon series together multiple times. Kotono said that she thought the series was really amazing and likened watching each episode with opening a treasure box. There were many scenes that Kotono liked in Sailor Moon. She said she especially liked the Sailor Moon R Movie. Another of her favourite scenes was in the TV series when (spoiler alert!) Saturn dies and Sailor Moon jumps in the whirlpool to try to save Saturn. 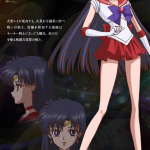 When asked what it was like to say goodbye to Sailor Moon, Kotono said that since the show ran for five seasons, she worked on it for five years. At the end of each season, they would wait and wonder if it would be renewed. Kotono said that she always wanted to do her best with her performance, so she had no regrets. Kotono also said that voicing Usagi changed her and affected her life, particularly by giving her more self-confidence. What about other manga series that Kotono likes? She said there are many manga series she’d like to see developed into anime series as well. One series that sticks out as something she would like to be in if there were an anime made is 20th Century Boys (although there is already a live-action movie). What kind of advice does Kotono have for aspiring voice actors? She said that there are lots of people trying to get into voice acting in Japan. But, Kotono said that she believes everyone should chase after their dreams and not give up. If you want to become a voice actor in Japan, Kotono said it is best to study acting first, but knowing how to speak English as well as Japanese can be an advantage. What is the name of the devil’s fruit that Boa Hancock ate? (The Mero Mero fruit, a.k.a. the Love Love fruit) Kotono liked the English name for this fruit a lot! She said she’d like to try a fruit with that name! After the quiz show, there was still time for a few more questions! A fan asked if Kotono had ever seen a Sailor Moon musical, and Kotono said that she had. She also confessed that she got caught up in the excitement of it just like the rest of the audience. She has also seen PGSM and enjoyed watching it. She noted that Luna’s voice is the same in PGSM as well as the anime. She thought the actors in the show put in great effort to do a good job. She also felt that the actress who played Usagi was very good at physically showing the clumsiness of the character. 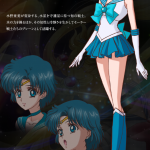 If she couldn’t play the role of Sailor Moon, Kotono said that she would have also liked to play Sailor Neptune because she’s older and more experienced. This was a hard question for her to answer! She also said that although she doesn’t have a favourite character in the series, Sailor Moon was very close to her heart. After re-watching Sailor Moon, Kotono said that she doesn’t feel that Sailor Moon should have done anything differently. When she played the character, she voiced straight from the heart. As for Kotono’s desire to become a voice actor, she recalled that being in an elementary school broadcast club was part of her original motivation. There will be coverage of the second panel featuring Kotono later. We hope readers have enjoyed this first part, which covered her Saturday Q&A panel. ANCEA recently announced that Kotono Mitsuishi will be a Guest for Sakura-Con 2011. Kotono Mitsuishi is probably best known to fans as the Japanese voice of Sailor Moon. Considered one of the most prolific and influential voice actresses in anime, Ms. Mitsuishi voices an incredible number of notable roles. Please see her bio for a full listing, you are bound to find several of your favorites among her credits. We are very honored to have Ms. Mitsuishi joining us for her first Sakura-Con. I will be representing Moon Chase at this year’s Sakura-Con, and I plan to provide even more in-depth coverage than last year! I will be wearing a Sailor Moon themed costume one day too, I wonder if any of our readers can guess what my costume will be? The official schedule for Sakura-Con is not yet released, but we will be sure to let you know when and where you can find Mitsuishi as soon as we have a copy of the programming schedule. Locations in Sailor Moon Featured in New Book of Anime Locales! Not too long ago, we told you about Kotono Mitsuishi, Mitsuko Horie, Akira Kamiya, and Himeka being involved in Anison Grand Prix preliminaries in Osaka. On her blog, Kotono was excited to be going to Osaka to judge this contest and hoped that she could judge confidently. She reminisced too about listening to anime theme songs songs like the fans do now when she was younger and how much she loved them! One lucky cosplayer flattered Kotono when he told her that he liked her voice! On April 30th, an Anison Night concert was held in Osaka featuring four bands playing lots of favorite anime hits and lots of cosplayers attending. Hits from Sailor Moon, Slayers, and many more had the audience singing at the top of their lungs, and cosplayers were cosplaying from series old and new, from Gatchaman to Ar Tonelico! 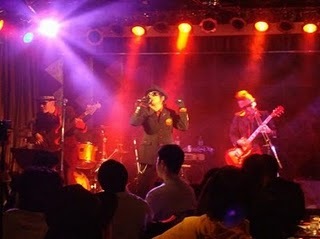 This was held at Beronica Entertainment Dining in Osaka, and one of the fans at the event was quoted as saying that having these newer bands bring in a new twist on older anime songs was unique. There was also a magic show and some open Anison auditions. The producer Masato Koga said that the recession has led them to really improve their performances and try to figure out how to entertain everyone across all generations of anime fans. He wants to try to continue these events to cater to everyone’s tastes! The General Manager of Beronica doesn’t want people to point at this “one dumb event” and hopes that by word of mouth, more people will attend. We hope so too, this sounds like a LOT of fun! 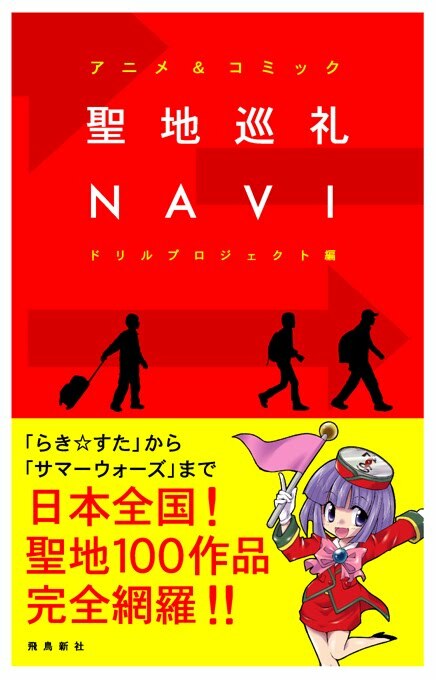 The next Anison Night is scheduled for May 27th.